One of the prices that we pay for living in an liberal democracy is that sometimes, when someone has committed a crime, and has served their time, they are released from prison. One of our responsibilities as a liberal democracy is to aid their rehabilitation by accepting this, and allowing them a chance to contribute positively back in society. Sometimes, this makes us have to hold our nose. The case of Harry Roberts is one of those times. 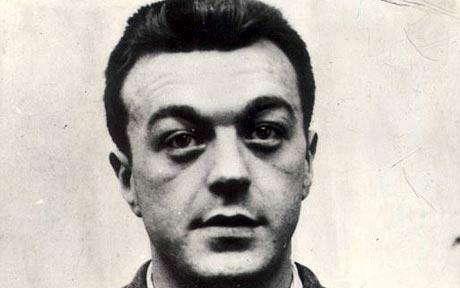 In 1966, Harry Roberts shot dead three plain-clothes police officers after they approached him and two other men as they were sitting in their van in Braybrook Street, near Wormwood Scrubs prison in London. Roberts opened fire on the officers when he feared they would discover the firearms his gang were planning to use in an armed robbery. He shot dead two of the officers, while one of his accomplices fatally shot the third. We have been reminded of this in the past week as, after 48 years in jail, making him one of the UK’s longest serving prisoners, the Parole Board approved his release at the age of 78. He had served 18 years more than his minimum sentence for the simple reason that he had never shown any remorse for the killings. He had also proved himself to be at risk of reoffending. When he was moved to an open prison in 2001 to prepare him for release he was found to have been involved in drug dealing and smuggling and was moved back to a closed prison again. He responded to this by allegedly telephoning the owners of an animal sanctuary where he had worked on day release during his time in open prison every day for four years saying he would “tear from limb to limb” anyone who spoke against him – and there followed a series of attacks on animals in the sanctuary, believed to have been ordered by Roberts from prison. During his time in prison he was producing art and pastry decorations depicting the shooting of police. It is no surprise that his release, even at his old age, has brought out much recrimination and calls for a law to be brought in to ensure “cop killers” die in jail. The arguments for that law may make sense when you first look at them. After all, a successful liberal democracy needs to have some law and order to ensure people are free from fear of crime. Our police are in general not armed, yet they walk into situations where the people they are challenging could well be armed. When someone deliberately shoots and kills a policeman, they are shooting and killing a central fabric of our society, and therefore there is a strong argument that they should never be free after that. But think also about the arguments against this. Where do you draw the line, why should the murderers of police officers be treated differently from the killers of a prison officer for example. Also, how are the murderers of police officers different from terrorists who have taken lives specifically to spread terror throughout society. Also, there is a practical concern, mentioned by former Met Police Commissioner Lord Condon. He said that if the law states that if you kill one police officer you are going to jail for the rest of your life then once you have done that you having nothing left to lose. Killers who have nothing left to lose may choose to go on a killing spree. This makes them more dangerous during that time to everyone, particularly police officers. There always has to be a chance of release otherwise prison is purely about punishment, not rehabilitation. When that is the case, we all lose out, which is why Harry Roberts, should it be decided that he is no longer dangerous, should have been allowed out. By the way. It was DC David Wombwell, DS Christopher Head and PC Geoffrey Fox. Those are the names of the three unarmed policemen who Harry Roberts shot dead. Their names have been forgotten, but if you are going to remember any names from this sad case, it should be theirs. ‘One of our responsibilities as a liberal democracy is to aid their rehabilitation by accepting this, and allowing them a chance to contribute positively back in society.’ I strongly agree with the point in theory. However in practice- and particularly in this case- it is difficult to expect society to aid rehabilitation of a criminal who has shown no desire to be rehabilitated. Roberts managed to remain a threat to society during his years of imprisonment- a time when society is supposed to feel protected from a criminal. Throughout the years; of which he had many, he had time and presumably opportunity to display a transformation of character. However, as it has been mentioned this transformation did not ensue and Roberts continued to partake in criminal activity whilst imprisoned. Should we really release a criminal who remains a threat to society and shows no indication of change in character or even a sense of remorse? Not only this but can we really then expect or even ask society to ‘aid their rehabilitation’? This is arguably a big ask. Like you, I take issue with the ‘calls for a law to be brought in to ensure “cop killers” die in jail’. I understand the reasoning behind it but I think it’s a somewhat dangerous ethic. You describe police as ‘central fabric of our society’; to which I do not object. However, does this only apply to the police force? It’s their job to do what they do, just as being a doctor is someone else’s. Doctors, teachers etc. also serve society in a very large way- as do many other professions who receive a lot less appreciation/recognition for the work they do to support and sustain society. Do the killers of people within all of these professions deserve to die in jail? Creating that law; unintended though it may be, could very easily convey the idea that the life of a policeman holds some form of superiority. It could install the belief that robbing a policeman of their life is worse or ‘more wrong’ than robbing the life of a teacher, mother or child- or whoever it may be; a belief that could be detrimental. Maybe that is so. But I do have sympathy with the idea that police should get a special status. They put themselves in harm’s way a lot more than almost any other profession on a day to day basis. The law and order they keep allows us to be more free than we would be in a lawless society. They don’t carry guns and therefore we are all safer. Why was it that Harry Roberts was eventually released? Do they believe he has really learned from his lesson and he won’t commit crime again? I find it hard to believe someone who when moved to the open prison and was to be about to be released, continued organising crime, knowing it would halt his release, is someone who is eligible to be out back into society? Even if he did show signs of rehabilitation, someone who committed such a terrible crime, then continued to organise crime from prison is not a person who should be let back into society. The probation service decided he was no longer a danger to society. I wonder if they were also thinking of his age and not wanting him to die in jail? To be honest they have far more information than me and I hope they have got it right. He had been in prison for longer than most people have ever been and I wonder how he can possibly make a life for himself now.